with pool and deep-water dock! SuCasa is one acre of land with two private homes. There is a 116-foot dock that can handle a large boat. It also has a 40-foot lagoon style fresh water swimming pool and can offer several different combinations in 2 separate houses on the same property. The Main House has 4 bedrooms (3 rooms have a queen bed and 1 bedroom has 2 twin beds), 2 full baths, living room, large dining room and full kitchen. 2-bedroom Apartment (with a queen bed in each bedroom), bathroom, living room, large dining area and full kitchen. 1-bedroom Apartment with separate bedroom, full kitchen, living room and bathroom. Each unit can be rented separately or in combination for your group size. We rented this property for my brothers 30th birthday and it was a blast! Easily fit 11 adults, 3 toddlers and 4 dogs. Everyone had a great space. The pool was very nice and great to hang out during the day. Right near everything you would want to do in Islamorada. Very clean. Would come again! The person who posted this review never once contacted me during his stay to tell me of any problem he claims to have suffered. He did text me, however after he checked-out when nothing could be done. I have a contract with Truly Nolan and would have had both houses sprayed immediately if he told me about a problem. The “GUY” that lives there is my Son. He is the Caretaker. His “Business” is catching Tropical Fish, which is a Wholesale and not open to the Public. Most of my guests love to see what he has caught each day. This guest had over 80 feet of dock space for just his boats, so I am not sure why he had trouble tying them up. I have been renting legally since April 1999 and I have never had a critical review until this one. He stayed the full 6 days and didn’t complain at all so what can I believe? We had a wonderful time at Su Casa. It was conveniently located to everything, very clean, and the hosts were very responsive. If you really want to experience a taste of island life then give this rental a shot. We stayed here for our wedding and it was simply wonderful. Helen was the best. 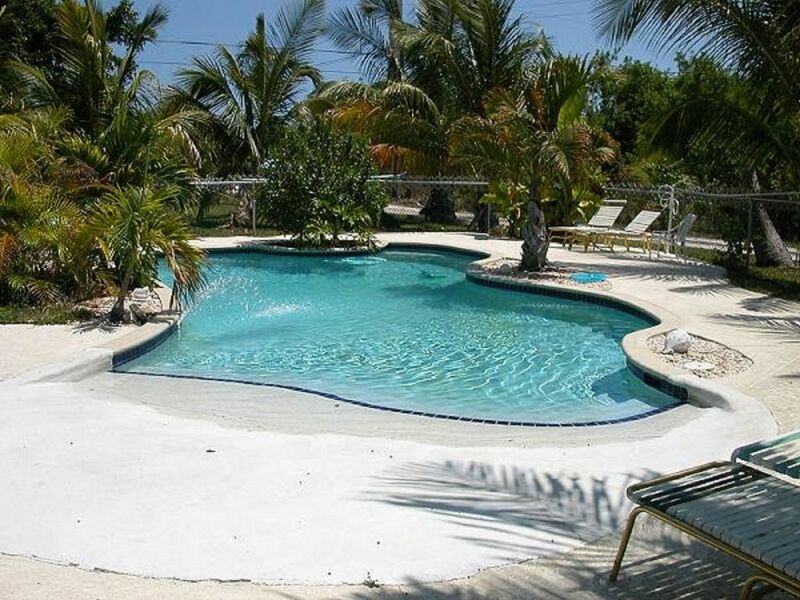 This property is set up for large groups who like to relax, fish, bbq, and enjoy the old style Keys! We know the property well and know how to really enjoy Sucasa's charm! The location is unbeatable for fishing access and close to all the best Islamaorada spots!